One might not have heard of DJI before, but the company happens to be a global leader in aerial photography and cinematography platforms. Hence, their expertise has led them to announce the release of their DJI Inspire 1, which so happens to be the world’s first flying 4K camera which is capable of delivering midair transformation in addition to carrying a built-in wireless HD video transmitter, stabilization indoors without the need for GPS and even more camera control than ever compared to other somewhat similar drones. Just which particular niche market will the Inspire 1 from DJI fill up? Well, this particular drone is said to bridge DJI’s consumer and professional products which happen to be the aerial platforms of choice when it comes to professional photographers and cinematographers who ply their trade around the world. Of course, the DJI Inspire 1 will be able to incorporate a groundbreaking 4K aerial camera, and not only that, it has a camera that is capable of maintaining stability even in strong wind conditions thanks to an integrated 3-axis gimbal. 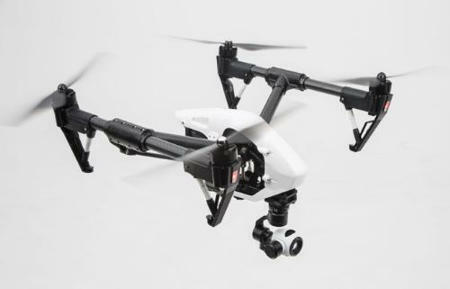 In addition, the Inspire 1 will have integrated DJI’s patented wireless HD transmitter, Lightbridge, and it will be accompanied by a fully redesigned mobile app which is capable of running across both iOS and Android-powered devices, allowing it to broadcast 1080p video at a distance of up to 1.7km. In fact, this is touted to be a first-of-its-kind product which can be fitted into the toolbox of professionals easily regardless of the industry in which they are involved in, and yet is “playful” enough to be used to capture outstanding images for creative and hobby use. A single touch of a button on the remote would see the Inspire 1 take off and will transform itself into a “V” position, so that pilots can capture images regardless of the angle. It will have a 6-cell battery deliver up to 18 minutes of flight time, too. Pricing details remain to be determined as at press time. I’m already a big fan of drone-assisted video, so I’m looking forward to the shots that this piece of tech will make possible!